Looking for Great Bonuses? Try All Jackpots Casino! All Jackpots Casino was started in 2003 and is a part of the Jackpot Factory Group. It is powered by Microgaming software, which is known for their great online games. Gamblers on the site report a great gaming experiencing stating that the site allows them to enjoy all of their favorite gambling games without having to leave the comfort of their own homes. The venue is licensed by Kahnawake Gaming Commission. The homepage displays the eCOGRA seal which shows that the highest industry standards have been met and a safe gaming environment is provided to all players on the site. New Canadian gamblers at All Jackpots Casino will find a great cash match offer available. The website will match 100% of up to $200 on a visitor's first deposit here. In addition, the venue is providing their customers with 10% cash back on what they spend each month on the site up to $350. The site will credit the bonus to the player's casino cash account within 3 hours. However, the customer will have to play through the amount a certain number of times in order to release the bonus money into their real money account. There are some people who do not want to make a deposit into any online gambling website without playing the games first. All Jackpots Casino currently does not have a no deposit bonus for their regular online casino, but there is a no deposit bonus available for those that want to play at the venue through their mobile devices. 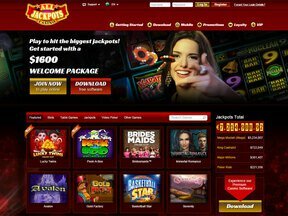 The All Jackpots no deposit bonus for their mobile site is valued at $5. This allows gamblers the chance to play on the mobile site without having to make a deposit first, providing a great opportunity to learn more about the site and the games that are offered. The site offers many great jackpot games as well as over 20 progressive jackpot slot machines. There are some games on the site that can turn people into millionaires with just a quick spin of the wheels. In addition, the venue is the home to a large number of different video poker machines, as well as table games, slots, and even several specialty games. There are new games introduced on the site each month so everything is kept fresh, new and exciting for those who enjoy the site. 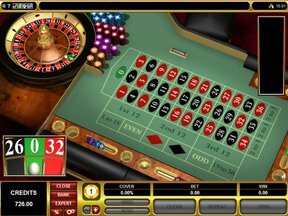 Overall, the All Jackpots no deposit bonus for the mobile site as well as the other offers available at the online venue are some of the most generous available. Currently, the site provides over $4000 in promotions each month to its customers. In addition, there is a loyalty program available here that allows the chance to get even more cash and extra benefits. There are lots of exclusive promotions available for loyal customers, as well. Perhaps one of the best features offered by this venue is that players are allowed to withdraw their deposits at any time without having to meet any type of wagering term.